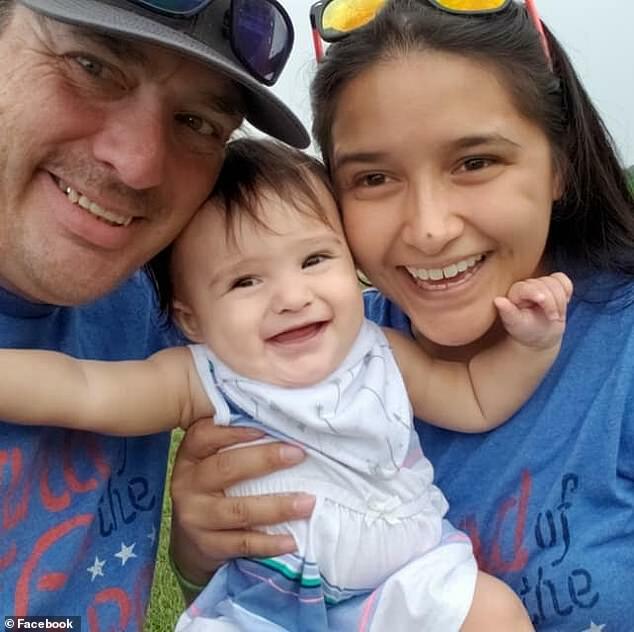 A man shot dead his wife, baby daughter, and his wife's grandparents before turning the gun on himself in a horrific murder-suicide at a Texas ranch. 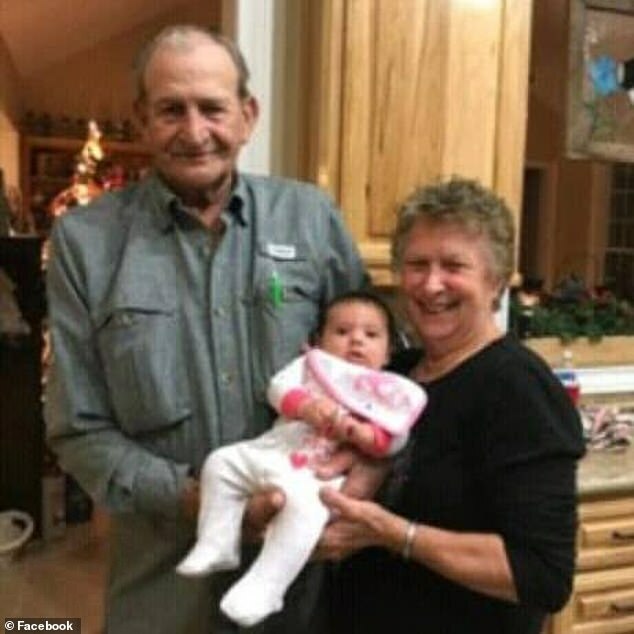 They also identified his victims as his wife Ashley Horn, their 15-month-old daughter Ranly, and Ashley's grandparents Lynda and Carlos 'Gene' Delaney, both 72. 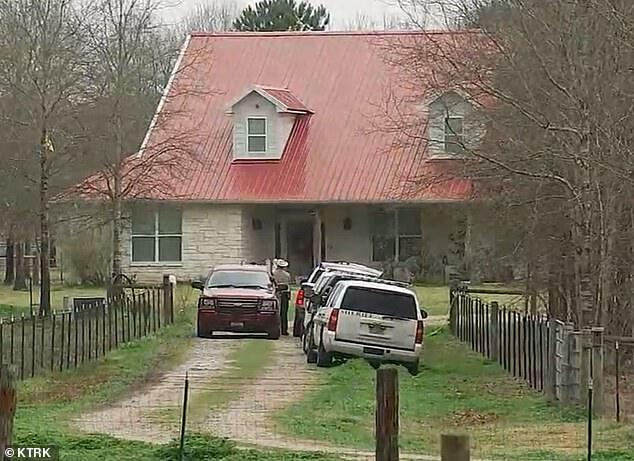 Authorities were called to the scene at 10.30am after receiving a call reporting that there were multiple assault victims at the Blanchard home, called 'Delaney Ranch'. The home was owned by Lynda and Carlos, their friend Terri Robinson told DailyMail.com. Ashley had been visiting with her grandparents with daughter Ranly on Sunday night. Horn and Carlos' bodies were found inside the house, Polk County Chief Deputy Byron Lyons said during a press conference. Ashley, Lynda, and Ranly's bodies were discovered outside of the residence. Multiple firearms were also found at the scene. Lyons revealed that the sole survivor of the mass shooting was Ashley's mother, who had been in a back bedroom when she woke up around 5.30am and heard 'popping noises'. Lyons said Ashley's mother is being questioned so that authorities can better understand the timeline of events. She is not considered a suspect. Authorities would not say whether Monday's shooting was a murder-suicide but said they are not looking for a suspect. Terri Robinson, who was close friends with Lynda and Carlos, told DailyMail.com that Ashley had been married to Horn for 'three or four years now'. 'I was told that she was probably leaving him,' Robinson added. Misty Robinson, Ashley's best friend of 16 years, told DailyMail.com she had once seen Randy become aggressive after a night of drinking. Just hours before he turned a gun on his family, Randy had been at a bar called Players to play poker. 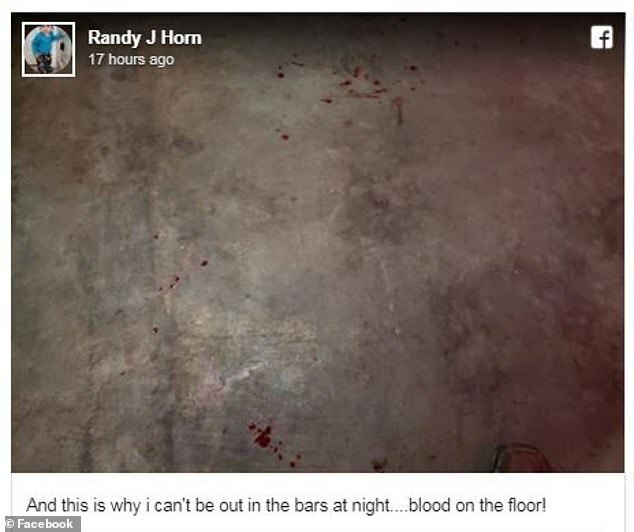 He posted a photo of the floor at the bar covered with splotches of blood. 'And this is why I can't be out in the bars at night...blood on the floor!' he wrote in the caption. DailyMail.com has reached out to Players for comment. On the same day, Horn wrote a chilling Facebook post. Robinson said she hopes Horn 'rots in hell' for what he did. 'Because that family was the most giving, deserving family I know,' she said. 'They would give you the shirts off their backs. Robinson said that the Delaney family had been touched by tragedy before. Ashley's brother had died of cancer when he was just nine years old in 2006. Ashley's parents had lost another child before that to SIDS. Robinson described Carlos and Lynda as 'country people' who were 'very intelligent, funny, and happy-go-lucky'.